ResMed's S7 Lightweight provides the ideal entry level CPAP option for the new patient. Combining many of the key features associated with premium CPAP devices, the S7 Lightweight is sleek, quiet, compact, making it a welcome addition to the bedroom or for the traveling patient. 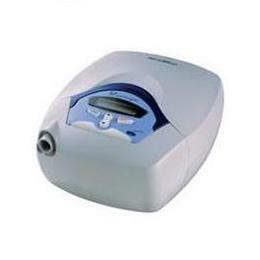 (Right: S7 Lightweight CPAP with and without HumidAire 2iTM humidifier).